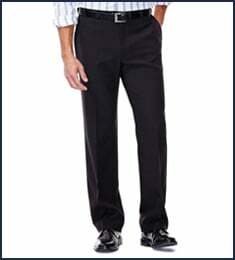 Performance Microfiber Slacks is rated 3.5 out of 5 by 22. Rated 1 out of 5 by sprstock from Longer than standard sizing I've worn the same size for at least 30 years including in just the last few months. 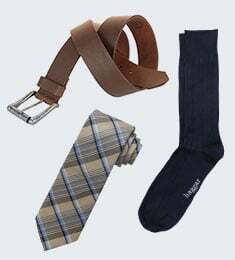 I ordered these in that same size but find them too long. This is an all sales final item so I can't return it. I'm not happy. Rated 1 out of 5 by sprstock from Longer than standard sizing. I've worn the same size for at least 30 years including in just the last few months. I ordered these in that same size but find them too long. This is an all sales final item so I can't return it. I'm not happy. 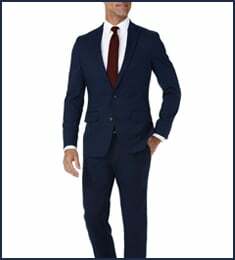 Rated 5 out of 5 by Tony73 from Super fit pants with style This is my fifth pair of straight leg Cool 18 slacks and third pair I ordered on-line. I need the straight leg because they hang much better in the rear, no extra material. 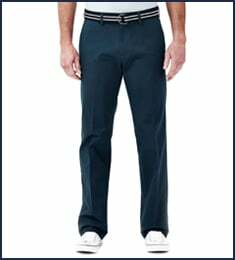 I'm 5"10" 176 lbs and can't recommend a better looking and fit slacks and they don't even need to go to the cleaners. Rated 1 out of 5 by Mando86 from Not correct sizing I bought these pants in three colors and none fit me. I purchased them in my original size of 38 and they wouldn’t even close. Feel, fit like two sizes too small. I’ll always wait til I can buy at a store in lieu of online. Rated 4 out of 5 by MrClean from Great Pants These pants are lightweight great feel and a very good fit. They fit to your normal pant size. Rated 1 out of 5 by ray77008 from poor quality... they fit great and look great but tore at the crotch in less than 2 months. poor quality.